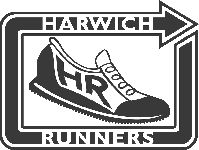 Held under UK:A rules ENTRY FEE £5.00 Runners/Walkers welcome. The route is on footpaths and tracks with some road sections.Over 90% off road. All entrants will be provided with a narrative route description.